Make a night of racing under the lights with a range of live entertainment that’ll set the pulses racing. It’s an atmosphere unmatched by any other event and it all takes place across The Valley, Cranbourne and Racing.com Park at Pakenham throughout February and March. So whether you’re looking to wind down after a long day, or soak in the nightlife, night racing is where the Festival of Racing truly shines the brightest. 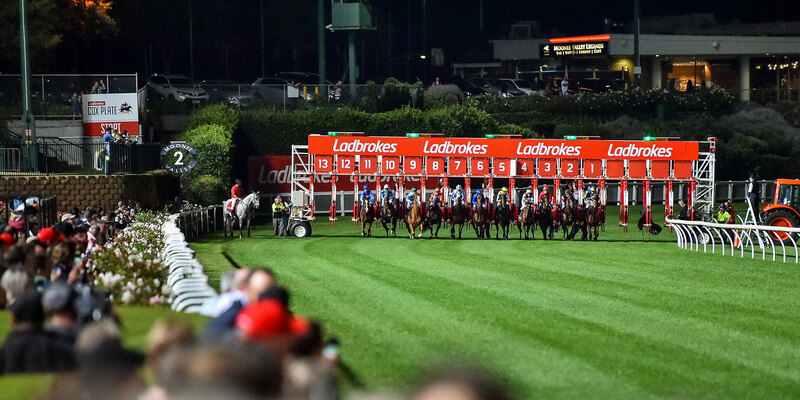 Melbourne's premier night racing destination is Friday Night Lights at The Valley. Located only 15 minutes from the CBD and full of entertainment. Get the weekend started early with Thursday night racing at Racing.com park, the newest destination for night racing set among a family atmosphere. Friday Night Racing at Cranbourne offers great value for the whole family. With numerous dining options, family entertainment and drink specials. Night Racing is the perfect opportunity to celebrate. Whether it's a bucks night, work function, birthday or for business - night racing has the answer! With great value dining options with sweeping views of the track available at The Valley, Pakenham and Cranbourne, treat yourself to dinner at the track! With live music on the front lawn at The Valley in between races, you can dance the night away under the stars throughout the Festival of Racing. Night Racing offers families the perfect night out. With kids under 17 entering the track for free - Kelly Sports will keep them entertained on track. Food trucks, craft beer, cocktail specials and much more on the front lawn provide racegoers with ample opportunity to enjoy a night out at the races. Enjoy the thrill of racing under lights. Make your way from the winning post to the mounting yard and soak up the evenings atmosphere on track.